Benchmark Health Systems (BHS) is a healthcare management company with a primary focus on Education and Prevention of Chronic Medical Diseases related to Obesity. We have a proven track record with our wellness approach, chronic disease management and tracking of health assessment parameters with patient awareness and participation. Each patient is a member of our wellness team and is advised to attend free healthy living seminars and support meetings. 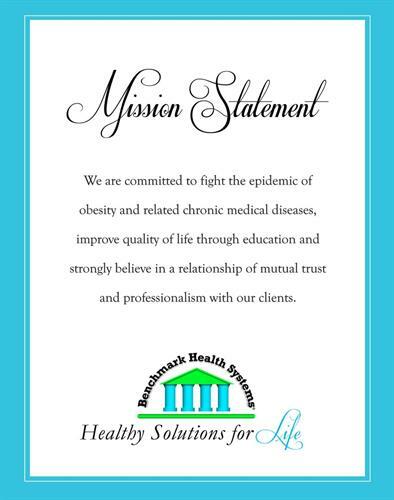 Our mission: ?Healthy Solutions For Life?.